Hey there! Thanks for dropping by WeeBaby! Take a look around and grab the RSS feed to stay updated. See you around! I have been a fan of Cloud b products since my son was a baby. It all started for me with the Sleep Sheep, an adorable cuddly companion and toy that soothes baby to sleep with calming “white noise” sounds. Well let me tell you that this little Sheep help get mama some much needed sleep! And so I was sold on Cloud b. Cloud b was founded in 2002 and is a pioneer in creating products and programs that help children sleep. Cloud b has become a trusted name with parents worldwide with their award-winning products that are developed with an Advisory Board of pediatricians, teachers and parents to create products that soothe and comfort children. 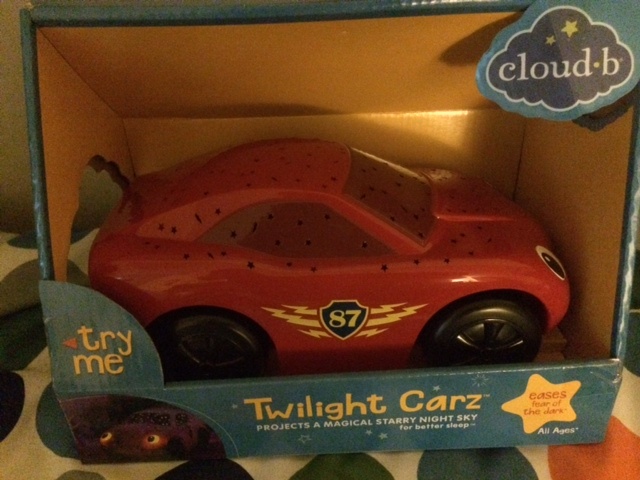 Recently I was sent the Twilight Carz from Cloud b. an adorable little red race car that will take care of your little one from night to day. It features fully functioning wheels that roll , the headlights and tail lights work independently of each other for daytime fun. 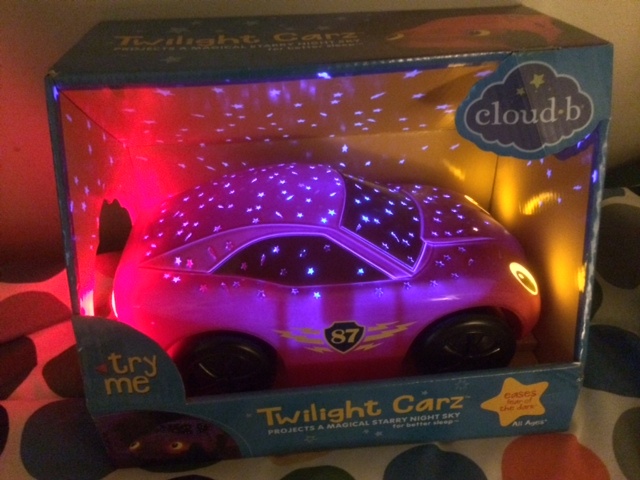 After lights out it features projections of cool lightning bolts and stars, along with illuminating headlights and tail lights that are set to a 45-minute timer. It is a sturdy well made toy, just as you would expect from Cloud b. 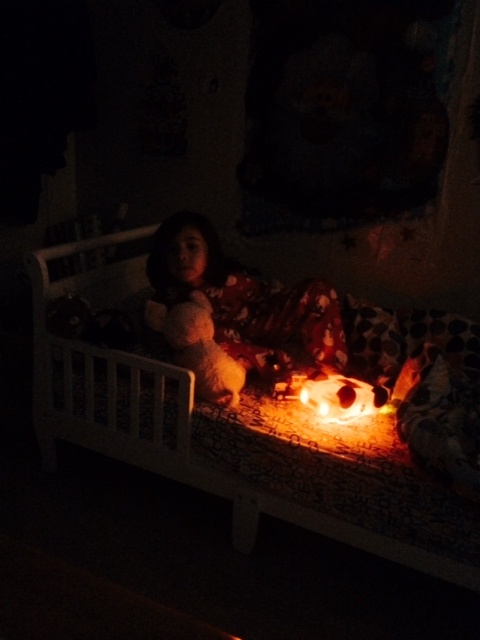 Twilight Carz ensures complete darkness during your child’s sleep, as recommended by pediatricians. 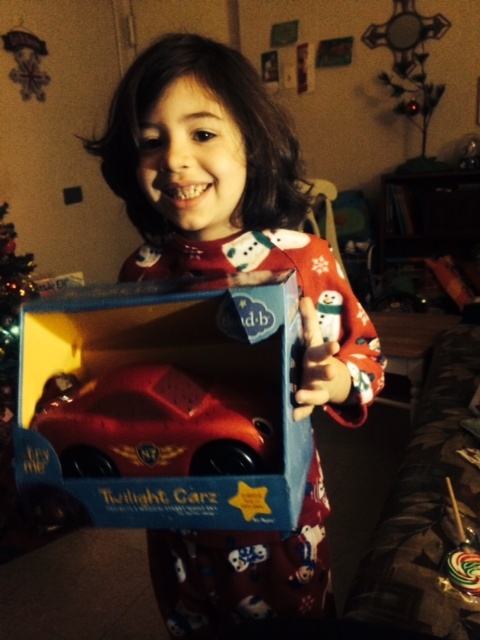 My little one is four years old and just loves his red Twilight Carz. He plays with it all day and grabs it as soon as it is bed time…lights out! 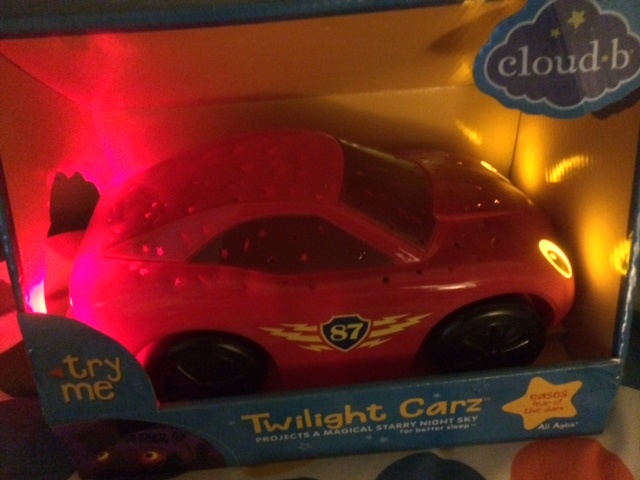 Twilight Carz require 3 AAA batteries that are included. It retails for $30-$32 and is available at retailers nationwide.